I’m purposefully confining this to Stockholm, because from what I understand it is a culture unto itself. In the same way that you can’t visit DC and project its vibe onto the entire US, you can’t visit Stockholm and make assertions about Sweden. Still, to continue the analogy, there are plenty of similarities that do unite them to the rest of the country. The same (occasionally odd) traditions and holidays. The same (apparently?) obsession with ice hockey. The summer is fabulously wonderful. Summer in Stockholm is beautiful beyond reason. For a capital city it is remarkably natural and clean. 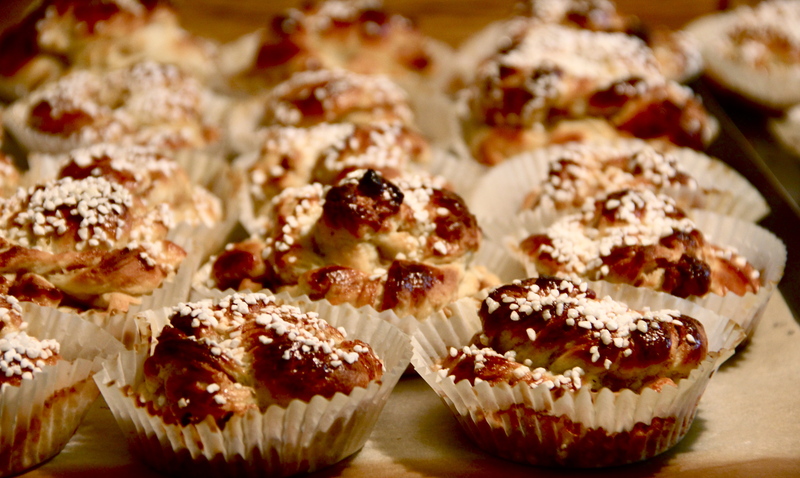 Best thing about Sweden: Kanelbullar. My friend Sanna helped us make these. Swedish people are reserved – except on weekend nights when they get smashed. If you are sober on a Thu/Fri/Sat/Sun night, the Tunnelbanan (metro) might not be an enjoyable experience. Generally speaking though, they’re a nice lot; patriotic, fond of children and pets and order. Obsessed with fair queues; many places that have lines also have a number to pick (like at US DMVs) even if there are only three people in the store.